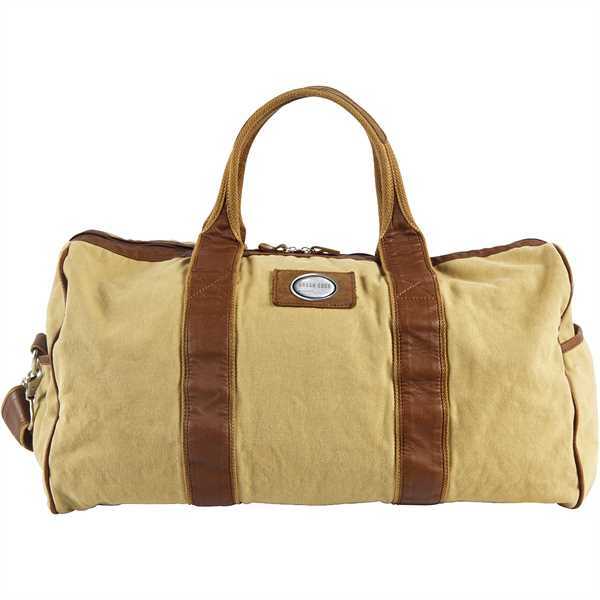 Get your brand moving in the right direction by adding it to this Mason canvas duffel! Part of the Urban Edge line from Canyon Outback Leather, this duffel has great features such as a wide top zipper closure, a zippered interior pocket and two small interior pockets without zippers. The shoulder strap is removable and adjustable, extending up to 58". It also has double carrying handles for users would rather go without the strap. Add your custom imprint to this 20" x 15" x 9" bag to design a marketing tool that everyone's sure to love! Size: 20 " x 15 " x 9 "